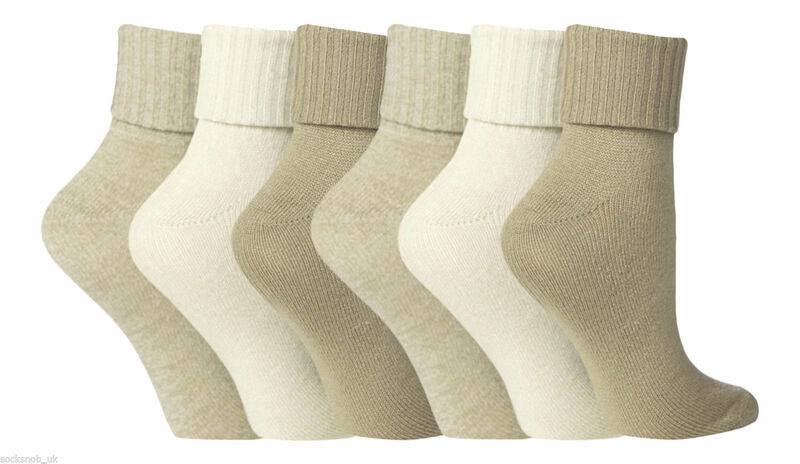 Super soft and satisfyingly simple, this 6 pack of Jennifer Anderton Plain Turn Over Top Socks feel silky smooth to the touch and easy to wear. Fully turned down they sit at ankle length, but if you choose, you can wear them fully up, with an attractive short rib leg. 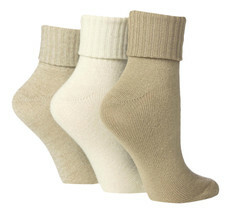 The warm, yet lightweight knit, the mix of shades and plain style ensures the socks will suit many outfits and be a very useful part of your sock collection. One size 4-8 uk, 37-42 eur, 5-9 usa Lots of different colours in my shop 88% Acrylic 11% Polyamide 3 Pair Pack Ankle length when turned down Ribbed leg Machine washable at 40 FREE UK POSTAGE WE POST WORLDWIDE!